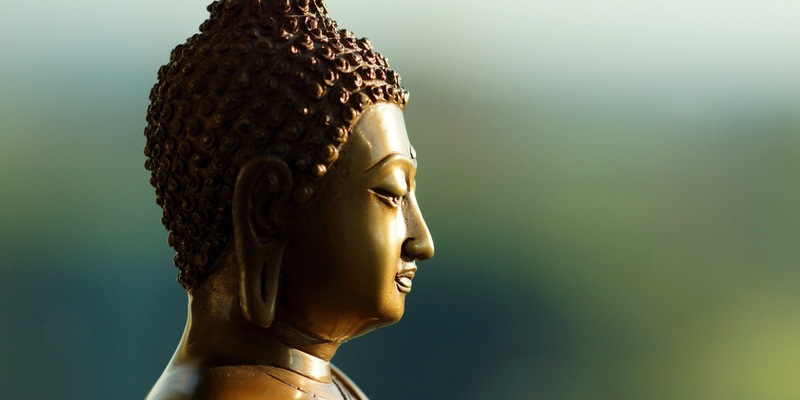 For practicing Buddhists, we know the world is ending, but in a different way than you think. All conditioned things are impermanent — when one sees this with wisdom, one turns away from suffering. Essentially the Buddha is saying “things are gonna change no matter what…so accept that and it’s going to make life a lot easier for you”. And if you can accept that truth, it goes a long way to reducing or eliminating suffering in your life. While the world is not permanent, this doesn’t mean we can’t actually do something to save it from ourselves. Because Buddhists believe in the “interconnectedness” of all life, we know that through “dependent origination” that nothing can can exist in isolation. When we create a dam to create a power station, we know that it impacts the wildlife and plant-life that lived off that water. This in-turn impacts people who live downstream who need the water, animals, and plant-life to survive. And in ways we are just now learning about, it may even affect the climate in small ways, which add up to one large impact. By being aware that all our actions have consequences, we can learn to take better care of our planet, resources, wildlife, plant-life, and especially each other. If we learn to protect what we have, and share, the need for many wars and destruction can possibly be averted. Often the struggle for resources and land causes conflict which is a very real ‘end of the world’ for millions. We’re all human beings who, through some mystic bond, were born to share the same limited life span on this planet, a small green oasis in the vast universe. Why do we quarrel and victimize one another? If we could all keep the image of the vast heavens in mind, I believe that it would go a long way toward resolving conflicts and disputes. If our eyes are fixed on eternity, we come to realize that the conflicts of our little egos are really sad and unimportant. For consider the world – A bubble, a mirage. See the world as it is, And death shall overlook you. Pretty deep huh? Like everything in Buddhism, the Buddha doesn’t want you to take his word for it, but for you to discover (or “uncover”) them for yourself .